As a tax professional my priority is my clients, listen to what their needs are, to educate, advice, and do what is best for them. Some take my advice some do not, I spend hours updating my clients on what changes have been made and how these changes can affect them, also what they can do to ensure they are paying the correct amount of taxes throughout the year to avoid a bill at the end of the year. My clients will be affected this year by the changes which were made to the deductions which they can no longer claim on Schedule A of their tax return. One of the benefits of the Tax Reform is that the standard deductions has increased which will benefit those tax payers who never had any deductions to itemize on Schedule A. The Tax Reform is not all negative, some tax payers will benefit in more ways than one, and will have to make the effort to understand the changes and how they can benefit or what changes they need to make to ensure they are not impacted in a negative manner. Deductions such as vehicle expenses related to a job move, uniform expenses, dry cleaning, union dues, business-related meals, business travel and entertainment can no longer be claimed on their Schedule A. In addition to the deductions which are no longer available, some personal exemptions are being removed, child tax credit is increasing, tax rates and brackets are changing, based on all these changes employees will have to change their w4 to avoid owing the IRS. Tax payers need to keep up to date with the laws and follow the directives of their tax professional or payroll department. 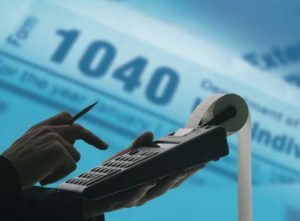 Tax laws change yearly and there is always a way each person can benefit from the changes with proper planning and assistance from a professional. Tax reform is not as scary as everyone thinks, there are a lot of positives, especially for small business owners, now is the best time for them to really take their business seriously and separate it from their personal assets, so that they can benefit from the tax breaks.